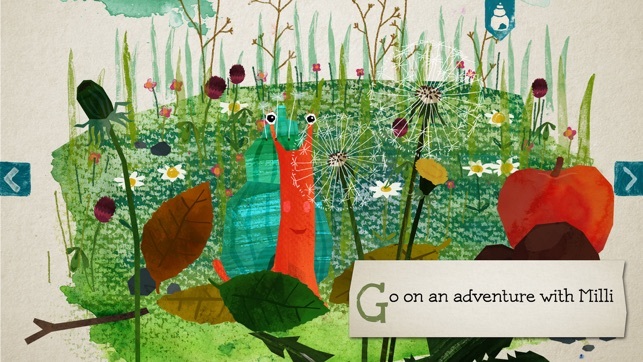 Milli, the curious little snail, goes on a quest to find out what snails do best. The only snail on Apple Tree Hill, she turns to the strange and wonderful creatures she meets every day for answers. On the way she gets sucked into many adventures, but will any one be able to tell her what it is that snails do? "I wish I could find out, I wish that I knew, I wish someone could tell me what it is that snails do. I know that I am curious and ever so slow, but what makes me, me? Well, I really don’t know." Milli and her best friend Miro, the ladybird (who is neither a lady or a bird) set off to learn more about who they are and what they’re good at, and along the way they learn more about the animals they meet. Why is Wanda the Owl so clever, and how does Leon Chameleon hide so well? Find out, right here. 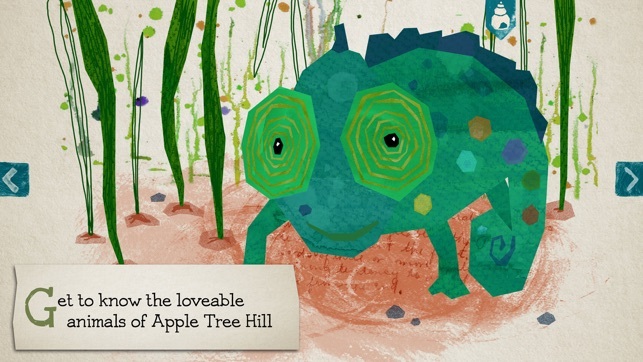 Told in rhyme, through a series of stunning, interactive landscapes, Milli’s adventures on Apple Tree Hill will enthral story-lovers both young and old. 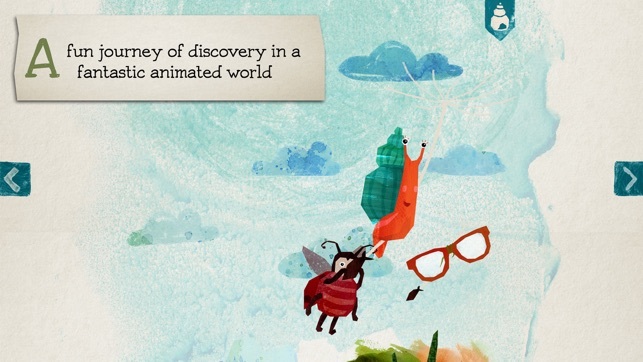 The gentle philosophy of the narrative is complemented perfectly by the wonderful, hand-painted illustrations and enchanting animations, creating a poetic, life-like world with so much to discover. There is plenty of fun to be had as well - interactive picture elements encourage readers to join in and help shape Milli’s world, while there are always new details to discover. Integrated, child-oriented game elements, in which Milli fans can help the little snail in her quest to find out who she is, offer even more variety. 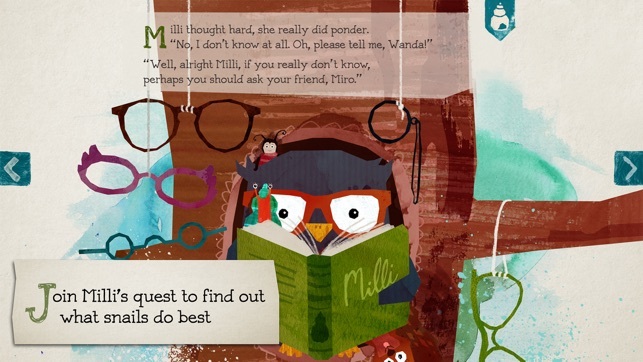 Thanks to her endless curiosity and boundless enthusiasm, Milli makes lots of new friends and finally realises what she is really good at – being helpful. * Safe for children, ad-free and no in-app purchases! An app that can very capably teach as well as entertain. It teaches children how to solve problems and to be empathetic. The first thing that strikes a user of this app is the beauty of the art that fills each and every page of this story of Milli the snail. The story is substantial and with its high quality content is excellent value for money. This is an app that you should definitely check out. I really enjoyed the Milli the Snail app. 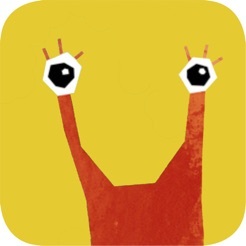 I would definitely recommend this app to the parents of young readers and pre-readers. 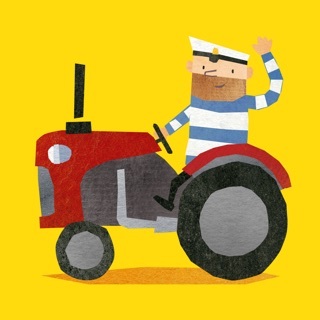 An interactive, vibrant tale about self-discovery that is as interesting for grown-ups as it is for kids. Told in catchy rhymes and through beautiful, hand-drawn artwork, the story encourages kids to find out what they do really well. 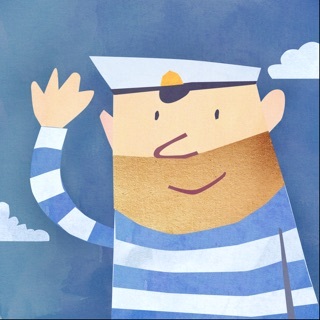 This is my favorite little storybook app to come along in a long, long time. 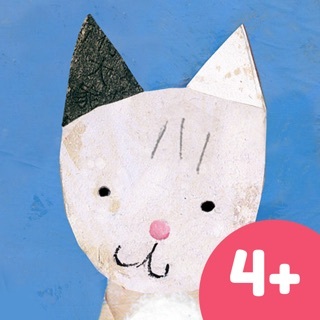 Charming artwork, delightful narration & story, and a few mini-games in for activity give us a well put-together app that can be enjoyed by adults and children together. We fixed a few bugs and chose a cool new icon. We hope you like it! 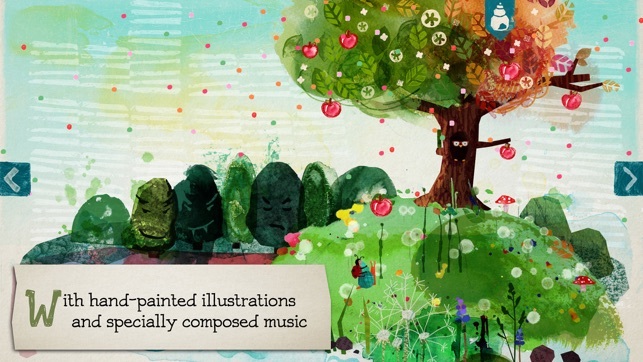 Delightful story and beautiful illustrations. The volume fades in and out, and that will be problematic when using with children. It sounds as if the narrator moves away from the Mike.